Lankayan is a small and peaceful tropical Island located on the North East Coast of Sabah, the Malaysian side of Borneo. There is only one diving resort, the superb Lankayan Island Dive Resort. Scuba diving in Lankayan is great and easy. The island offers both good macro and wreck diving and beautiful coral. This destination is very popular among underwater photographers as it offers many opportunities for great pictures. Moreover, Lankayan is also famous for Whale Shark sightings during the right season. Lankayan has everything you dream of on a remote Island of paradise with its white sandy beaches. Nature lovers will be in their element here. The only drawback is the water visibility which is sometimes limited. I usually use this website to book in advance my hotels in Lankayan as they usually have the lowest rates I find. I like it because it's free to cancel and change the dates. There is no hotel on Lankayan. The only accommodation on the island is the Lankayan Island Dive Resort. They offer beautiful bungalows in close proximity to an outstanding sandy beach. Diver’s reviews have been excellent about this place. They offer different inclusive dive packages including the transfer and unlimited diving including night diving from the jetty. 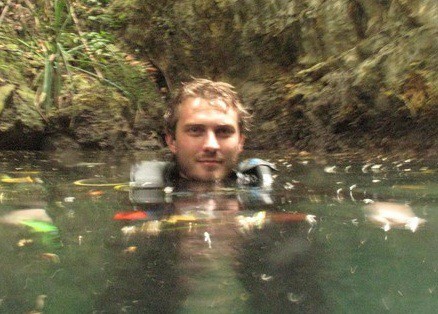 There are 3 boat dives planned every day. Cheaper rates are available for non divers and prices depend of the period of the year. Dive gear is also available for rent. If you are looking for a peaceful stay where you can relax in an unspoiled location, you are at the right place! Watch this video to see how the resort looks like. Lankayan Island is a 100 % pure diving location. However it is of course possible to come here with non-divers who can enjoy the beautiful white sandy beaches and great snorkelling. This is really a place to relax and enjoy nature at its finest. Visit the Sepilok Orangutan Rehabilitation centre. Excursion to Turtle Islands where Turtle lay their eggs. There is a Hatchery to visit where you can watch small turtles released to the sea. Explore the Gomantong caves where the bird’s nests are harvested. If you are planning an upcoming dive trip or travelling to Lankayan, it is a really good idea to invest in travel insurance for scuba diving, because you never know what could happen and when you might need it (because accidents do happen!). I recommend this diving insurance as they offer worldwide coverage and focus on providing scuba divers a quality insurance and medical assistance service. Where is Lankayan located in the world? Lankayan Island is a remote area. It is located 15 km offshore from the small city of Sandakan, in the Sabah state on Borneo Island, Malaysia. How to get to Lankayan? Follow these steps to reach this piece of paradise! Firstly, you need to fly to Kota Kinabalu International Airport. There are many flights leaving from Kuala Lumpur, Singapore and Jakarta. The best companies to fly there are Air Asia and Malaysian Airlines. From Kota Kinabalu, take a connecting flight to Sandakan. Air Asia also offers direct flights to Sandakan from Kuala Lumpur in peninsular Malaysia. From Sandakan Airport, you will be transferred to the jetty to take the boat to the Lankayan Island Dive Resort. The boat ride will last about 75 min to eventually reach Lankayan Island. This entire trip can be arranged by your dive operator or the diving resort and is normally included in any dive package. The only boat leaves Sandakan at 10am, so try to get an early flight in the day or you will have to stay overnight in Sandakan. There are no Banks or ATM machines on the Island so plan ahead. The resort itself accepts major credit cards. The island is very small and can be easily explored by foot. There are no roads or cars. The best way to get around the island is by boat. A fantastic way to discover the island is to organize a snorkelling trip around the island and nearby reefs. Very good muck and wreck diving with superb coral. Good chances to spot a whale Shark during the season. Have you been travelling or backpacking in Lankayan? Please consider sharing your experience by leaving a comment below! Divezone has complete information about scuba diving and snorkelling in Lankayan. 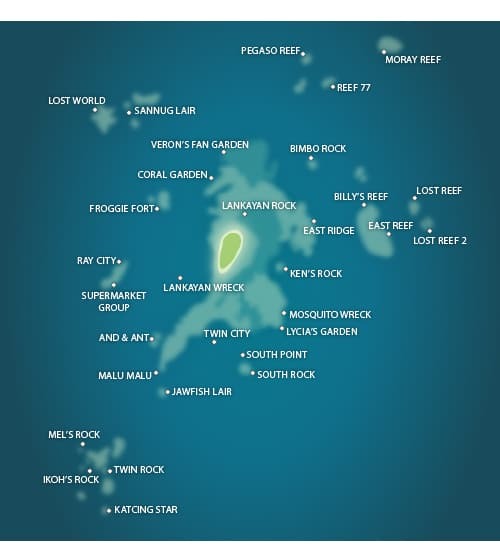 For information about the best time to dive, list of fishes spotted in these waters, please check our Lankayan Diving Review.